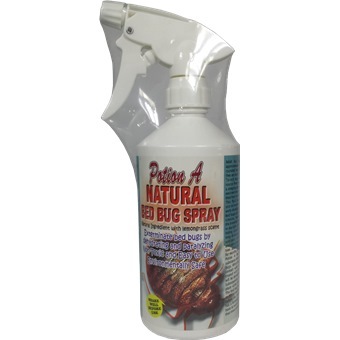 Non-restricted bed bugs pesticides are virtually non-toxic and are safe enough for home use. Non-restricted pesticides kill by contact action, which means the insect must come into contact with the pesticide for effectiveness. Generally, as the insect gets into contacted with the pesticide, it takes several minutes before the insect begins to respond to the pesticides killing action. It may take several more minutes to an hour before the insect is finally dead. Too often the delay results in several bites before the insect is eventually dead. The formulation can provide quick relief to such bed bug attacks. When active bed bugs come into contact with the surfaces pre-treated with the formulation, the insects will be demobilized almost instantaneously. Subsequently, the killing action can take place while the insect stays paralyzed. The bed bug has no chance to carry on with its biting. Please follow the instructions below carefully for a successful quick relief treatment. All possible areas where the bed bugs may access must be treated. Remove any detachable mattress / cushion. Spray to cover all surfaces of the furniture frame. Allow 2 hours for the pesticides to settle before putting back the mattress / cushion. The mattress / cushion must be treated separately. Apply as a light mist to the entire mattress / cushion, penetrating seams, tufts and folds. Allow the treated surface to dry for 4 hours before use. Do not sleep or sit directly on treated surfaces. Make sure the mattress / cushion has been dried, aired out and a sheet put on it. Active bed bugs are always difficult to be found. They are tiny, moving always strike during sleep, and can be almost anywhere. This bed / chair treatment will make your bed / chair ready for the intrusion of bed bugs during sleep.